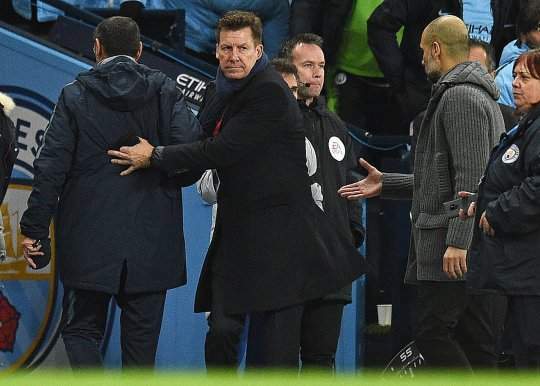 Chelsea manager, Maurizio Sarri, has said he did not intentionally snub Pep Guardiola's post-match handshake, after Manchester City won 6-0 at the Etihad on Sunday. After the full-time whistle, the Italian walked straight past Guardiola's outstretched hand and down the tunnel, with assistant Gianfranco Zola having to placate the Spaniard instead. "I didn't see him at the time but I will go to say hello to him later, as usual. "I just spoke with Zola, Sarri didn't see me. "I have a great relationship with him, no problem," Guardiola said.